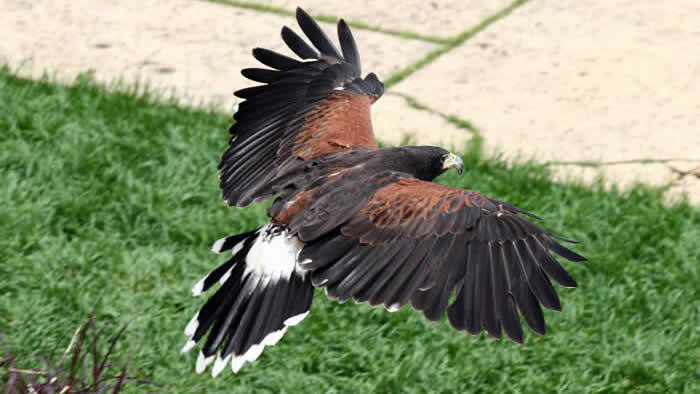 Harris hawks catch small mammals, lizards and birds. They hunt for jackrabbits, particularly in winter. 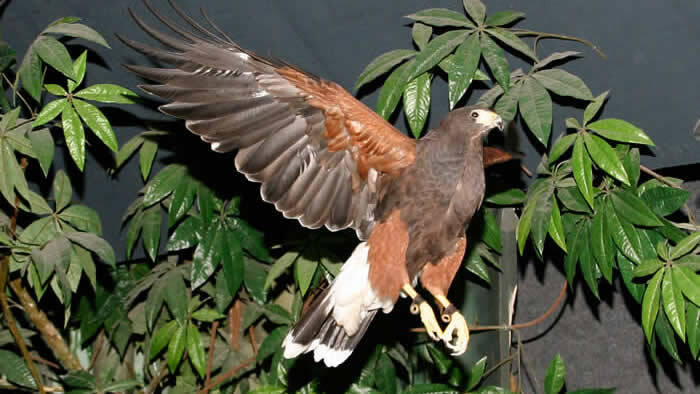 Found from southwestern United States down to Argentina and Chile, Harris hawks inhabit semi-dry deserts and woodlands. This species’ cooperative hunting is noteworthy. Up to seven birds are known to band together when capturing prey. Although their population is generally declining, these hawks still have a large enough range to be considered at least concern for extinction.